Hi lovelies! I'm gonna be real with you right now, despite the majority of my wardrobe being Primark, New Look, Topshop etc, my makeup bag is another story. I will stand up and admit, I'm a bit of a makeup snob. My makeup bag is full of MAC, Benefit, YSL, Estee Lauder, Clarins.. (the list goes on) and not a lot of high street. This is despite not actually having the budget to justify this. However, if I'm going to indulge in luxury products, I'm more likely to spend it on makeup, as a lipstick at £20 is much less scary than a £500 handbag. Or at least that's how I'd justify it. However, despite being a luxe lover, I've been giving the high street a bit more of a chance lately, as I think lower end makeup has come such a long way recently. So, as I was rooting through my makeup collection, I decided to pick out five amazing items that are just £5 or less for you all, because who doesn't love a bargain? 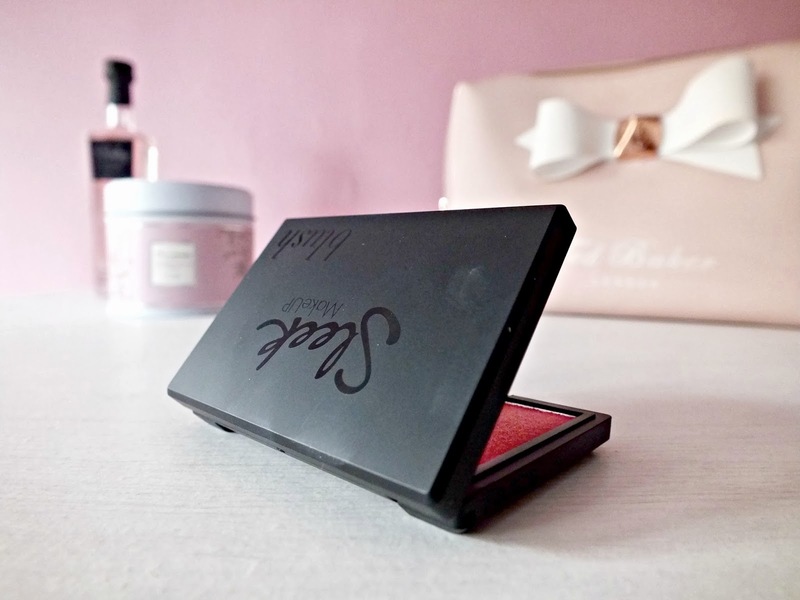 I love Sleek as a whole brand, I think the packaging is a lot more classy than a lot of high street makeup and the quality of every product of theirs that I have tried has been just incredible.However the product that stood out to me for this post was their blushers. Retailing at just £4.49 each, they won't break the bank! The gorgeous little compacts are teeny tiny, making them great for travelling and carrying in your handbag, but there's actually a lot of product in them. They're super pigmented so they last a long time as you don't need to use too much to get a really pretty flush of colour. These come in several colours so it's worth popping into your local Boots or Superdrug, or taking a peek on the Sleek website for a look! Topshop makeup is another brand that I love in general. The packaging is just so cute and the range of colours is amazing. The product I've picked for today though is a topshop nail polish. Some of their polishes retail at £6 or so if they're special effect polishes or glitters, but the general, cream colour polishes are just £5 each and the quality is incredible. I find all their polishes to be super opaque in two coats, they go on evenly and dry fairly quickly too. They have an amazing colour range too, so definitely have a look next time you're at a topshop makeup counter. Some may argue that this isn't actually less than £5 as it sometimes retails at £5.99 or so, however I often manage to pick this up on offer, or in Wilkos, Supermarkets and online for around £3.99, so this is one to shop around for if you're going to go for it. 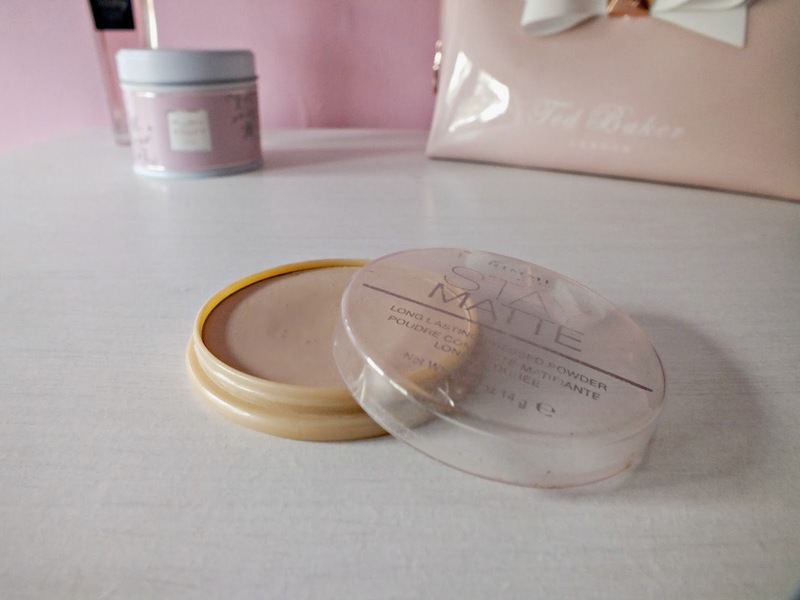 I honestly think this is one of the best high street powders out there. It stays on for hours, it mattifies completely and even adds a little extra coverage too! My favourite thing about this is that it's fairly light, so it doesn't go cakey or give that super 'powdery' look to your face. 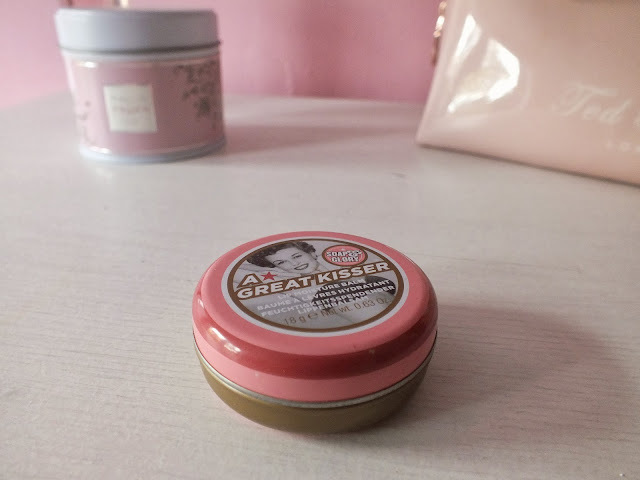 Last year and early this year, I went through a huge Soap & Glory phase, (you'll know this if you're a long time follower of my blog!) and one of the things that always stood out to me was the 'A Great Kisser' Lip Balm. Retailing at £5, this is a great alternative to more expensive tinted lip balms on the market. It leaves your lips soft and smooth, with a hint of colour (this depends on which flavour you go for) and a really pretty shimmer. This was a lifesaver last winter because my lips get super sore. However when they did it was this bad boy to the rescue! And let's face it, it looks cute in your bag too. 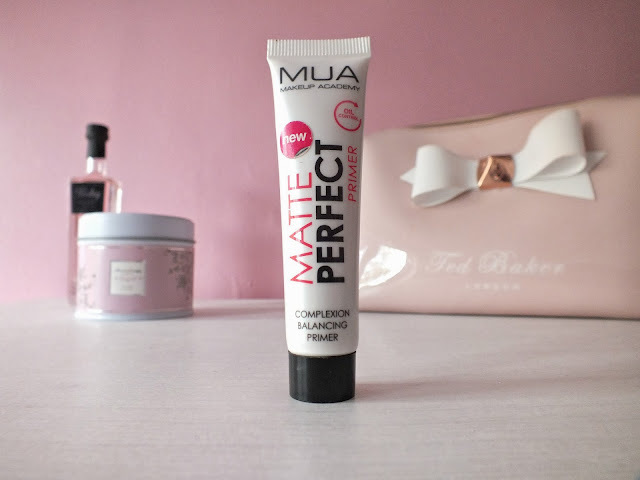 And finally, the product I'm most excited to tell you all about is this MUA Matte Perfect primer. This retails for just £4 and is worth every single penny and more. This is like the high street dupe of Benefit's 'POREfessional' primer. Though it doesn't exactly live up to Benefit's standard, it's pretty darn close. If you love a matte finish and want your makeup to last all day, then this is definitely for you. It also evens out skintone slightly, so is perfect for girls just starting out with makeup who don't want to, or aren't allowed to wear a full on foundation just yet. What do you think? Will you be picking up any of these lovely bargains? Love the sound of the MUA primer! I love these posts! Really want the sleek blush! Love Sleeks blushes! I keep hearing so many good things about the Rimmel powder too, need to try it! Sleek are AMAAAAZING! I don't know what I'd do without them. Pathetic I know haha. Had no idea about the MUA primer, sounds like a bargain and a drugstore gem :) x.
I have to agree Sleek blushes are amazing for the price. I have the quad in Lace and love it!